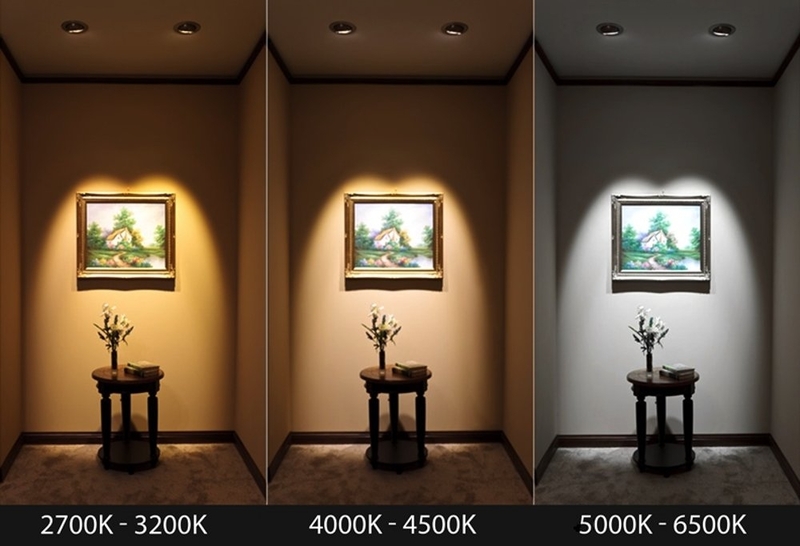 Every light you buy, whether it’s a Halogen, LED, or even a HID lamp, will have a colour temperature. This unit is measured in Kelvins (K), where the higher the Kelvin, the whiter the light is. It’s used to describe the hue or ‘temperature’ of a globes light – that is, how warm or cool it appears. All normal globes have a colour temperature, and shouldn’t be confused with RGB coloured lights. Now, you may be wondering why Colour Temperature is such an important aspect of lighting – the answer being simple. This measurement can drastically change how the atmosphere of a room appear when lit. While “colour temperature” measures the “warmth” and “coolness” of a light, the actual measurement scale is very different to how we measure degrees. The lower the Kelvin, the warmer or more orange the light, and the higher the kelvin, the bluer. Warm light gives off an orange or yellow light, while cooler light is blue or even greenish. The middle ground, cool white, which is around the 4000K mark, is a neutral white light. 2500K-3000K - Warm White Light gives off a golden glow. It closely mimics the feeling of candle or fire light. Due to this, it’s best for use in bedrooms and living areas, where a cosy, comforting aesthetic is most appreciated. Because it tends to offer lower illumination, it is also used as accent lighting. It’s also likely to be seen in hotels or restaurants where a warm, welcoming atmosphere is wanted. 5000K-6500K: Daylight/White Light this light is very bright, and very blue. It could be describes as glaringly bright. Often used in commercial settings- from warehouses, to offices, to hospitals and other areas where adequate lighting and high lumen is important. This tempreature is not recommended for use in a home.